Provide comfort for the family of Flora Williams with a meaningful gesture of sympathy. Flora Wilson Williams of Rock Hill, SC, peacefully passed away at her home on April 2nd, 2019, after a year of battling cancer. She was preceded in death by her parents, Robert Johnson (JR) Wilson and Martha Lemons Wilson and grandson Jeffrey Lee Williams. She was survived by her Sister, Doris Rollins, her loving husband of more than 55 years, James D Williams Sr., three sons, J. Darrell Williams Jr. (Amber Proctor), Jeffrey D Williams (Jeannie Lloyd), and J Dennis Williams (Mary Auer). Flora was survived by 9 Grandchildren, Breanne Williams, Baylen and Neely Williams, Kaitlyn, Torie, and Kierstin Lollis, Andrew, Aiden, and Avery Williams all of Rock Hill, S.C.
Flora was a retired US Postal clerk and a lifelong member of West End Baptist church. She was a member of the WMU and served several non-profit charities including Pathfinders and the Jeffrey Lee Williams Foundation. Throughout her life, she selflessly cared for children, the elderly, the sick and supported missionaries in her home and abroad. She remained a devoted mother, a loving “Nana” to her 10 grandchildren, her nieces, and nephew who she loved like her own. Her extended family and friends, who always had a home at her house for a couple days or a couple of months, she loved and provided for them too as her own. Flora lived her life in service of her savior Jesus Christ with a life well lived. The family will receive friends at West End Baptist Church located on 1727 McConnells Highway on Saturday April 6th from 3-5 pm. Memorials may be donated to a charity of your choosing. Bass-Cauthen Funeral Home & Cremation Center is proudly serving the Williams family. 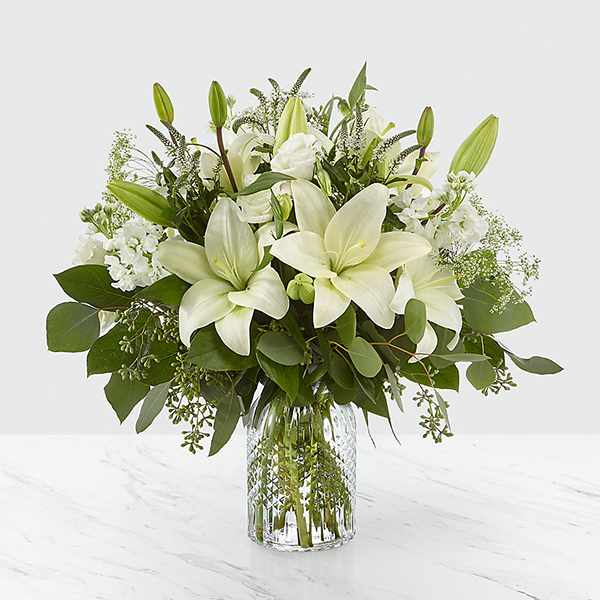 To send flowers in memory of Flora Williams (Wilson), please visit our Heartfelt Sympathies Store. We encourage you to share your most beloved memories of Flora here, so that the family and other loved ones can always see it. You can upload cherished photographs, or share your favorite stories, and can even comment on those shared by others. Jeanne H. Lloyd and Wende Howe Myers have sent flowers to the family of Flora Williams (Wilson). My deepest sympathy to Flora’s family. I worked with Flora for For many years and I was always greeted with a smile. She always had a kind word for all those that she worked with. My thoughts and prayers will be will be with the family during this sorrowful time. To all of Flora's family, so sorry for your loss. Flora always had an encouraging word and a lovely smile to share as both a fellow worker and a friend. She will be truly missed by many. Peace, Prayers and Blessings, From Jeanne Lloyd, Arlene , Clark, Tonya, Tim and Tisha and families. Jeanne H. Lloyd purchased flowers for the family of Flora Williams. Wende Howe Myers purchased flowers for the family of Flora Williams. My condolences to the Williams family and all those who knew and loved Mrs. Williams.